Fur trader, settler, Councillor of Assiniboia. Born at St. Thomas, Jamaica in September 1778, the son of a West India planter who moved to Montreal in the 1780s, he was fluently bilingual in French and English. He entered the North West Company in 1801 and served with it for many years. From 1806 to 1814 he was a clerk at Sault Ste. Marie. In 1814 he was persuaded to join the Hudson’s Bay Company and worked at Montreal preparing the outfit for Colin Robertson’s Athabasca expedition of 1815. He accompanied the brigade to the North West that year, wintering at Ile-à-la-Crosse. Between 1816 and 1819 he served at Rock Depot and Lac la Pluie and in the latter year was appointed to take charge of Lord Selkirk’s affairs at Red River during the absence of Alexander Macdonell, Governor of Assiniboia. Logan remained at Red River, becoming one of its most prominent and wealthy settlers. George Simpson wrote in 1822, “Logan is the best settler about the place without exception.” In 1825 he purchased from the Lord Selkirk estate the property on which Fort Douglas stood, along with a grist mill then under construction. His was the first windmill used to grind grain in the Settlement. On 13 January 1821 he married Mary, a Saulteaux Indian, and they subsequently had 12 children. When she died, he subsequently married Sarah Ingham on 29 July 1839, and had four more children. He served as a Councillor of Assiniboia from 1823 until 1839. In February1835 he was appointed Deputy Chairman of the Public Works Committee and a Justice of the Peace for the Third District. 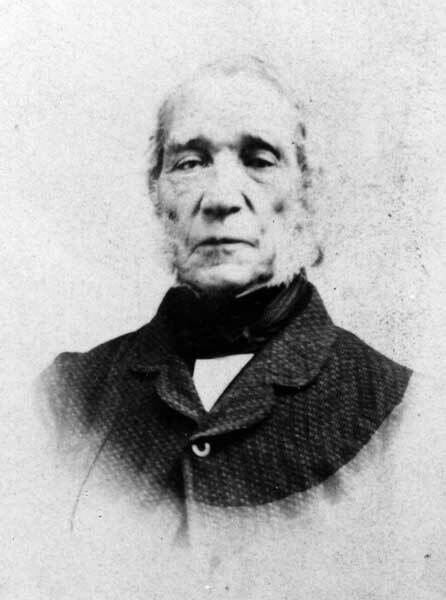 In 1837 he was appointed magistrate for the Middle District, and in 1844 was appointed Chairman of the Board of Works. Although he had previously attended the Anglican Church, he was active in obtaining a Presbyterian minister for the Settlement in 1851. Logan died on 26 May 1866. He is commemorated by Logan Avenue in Winnipeg. His papers are in the Archives of Manitoba. Robert Logan, Dictionary of Canadian Biography IX, 472-73.